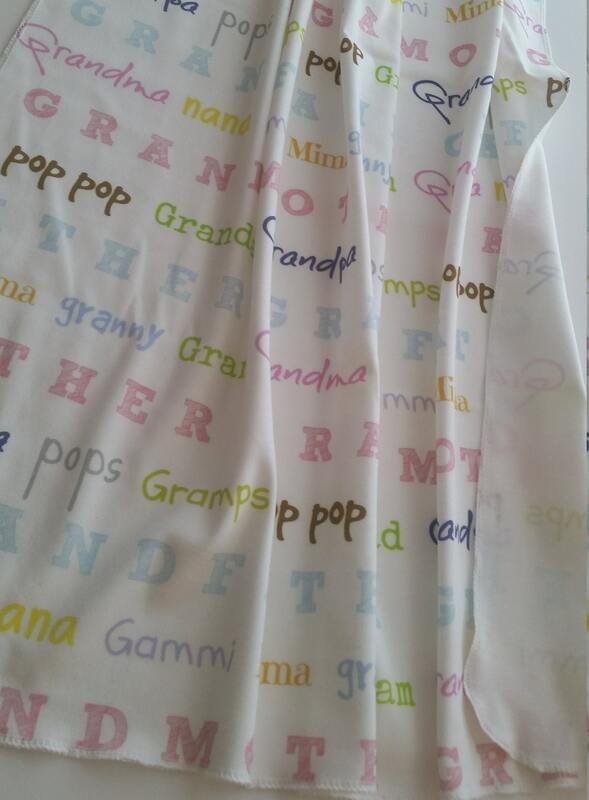 Grandparents Pregnancy Announcement / New Grand Baby! 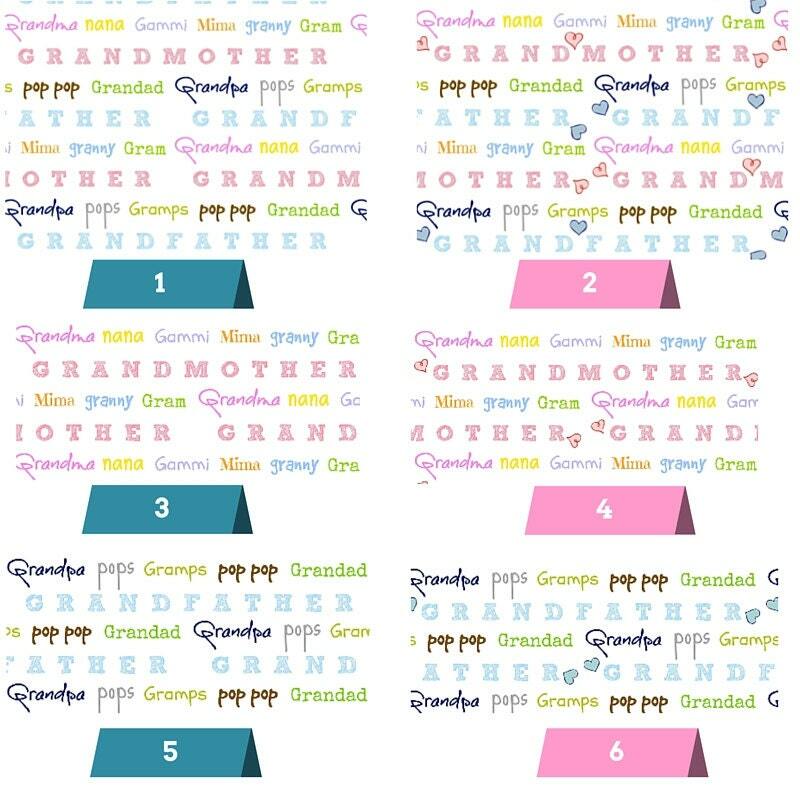 Endearing grandparents names fill these colorful designs. 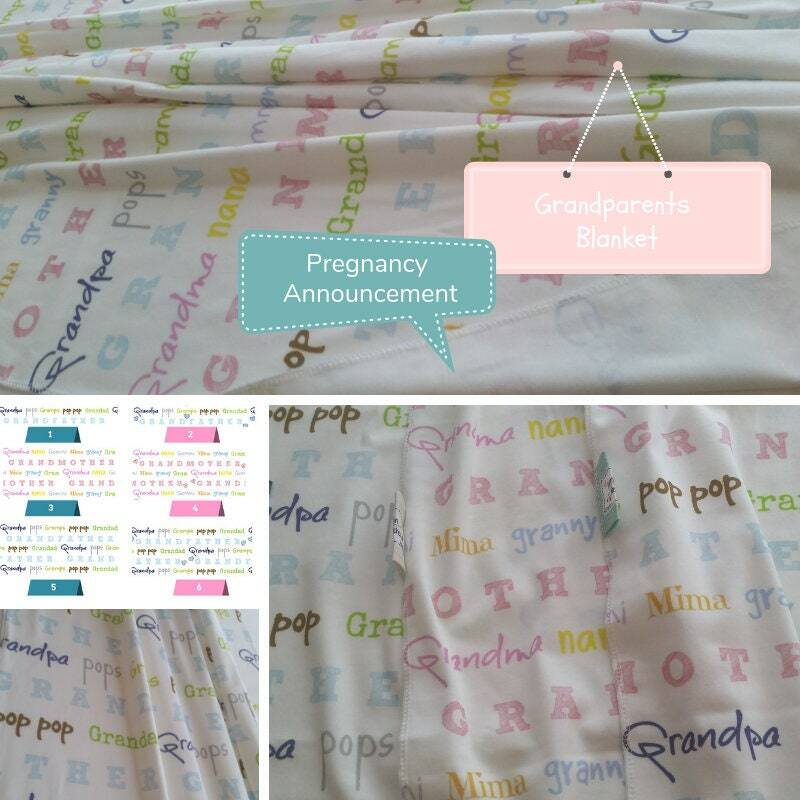 FUN way to announce pregnancy / new grandchild! 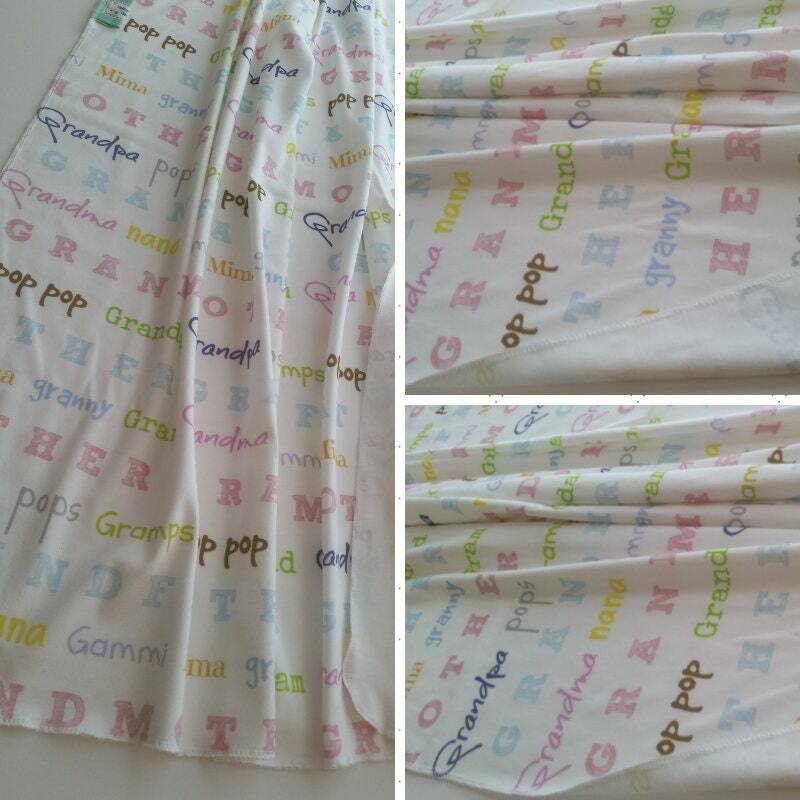 Perfect gift for expectant beloved grandparents. 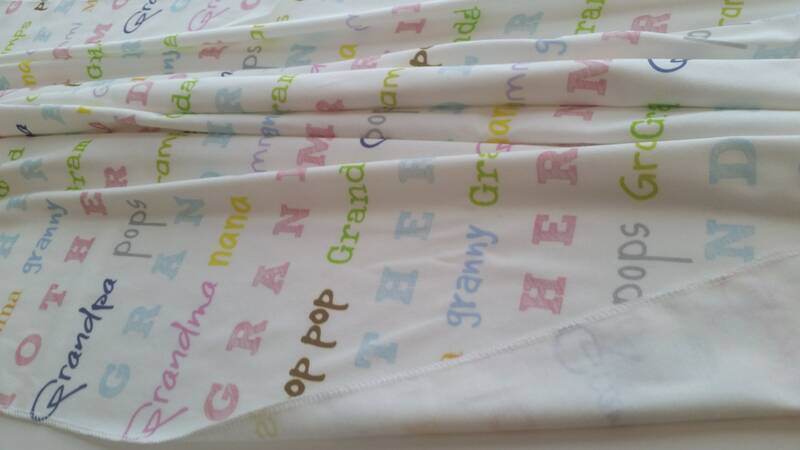 Small size is a cozy baby wrap & perfect for little hands to carry everywhere as they grow! FINISH: edges serged for a durable & professional finish. 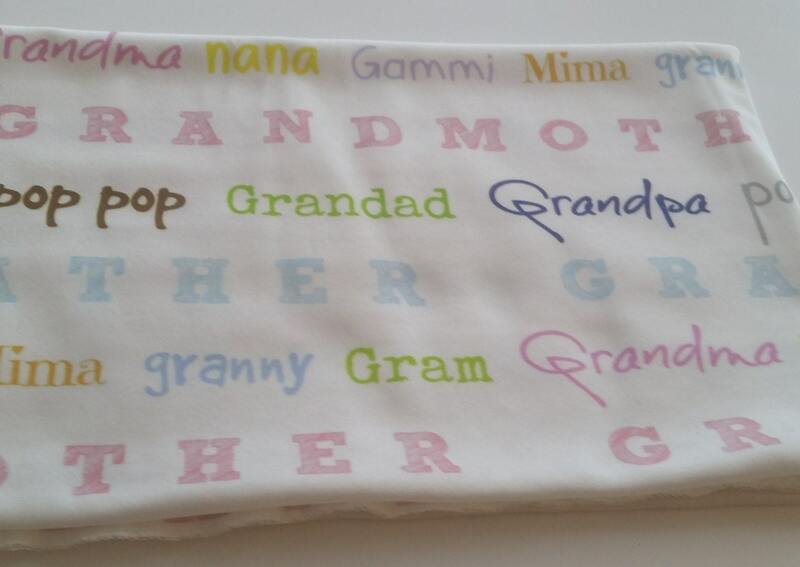 Each shop item is made one at a time with top quality fabrics and finishes.